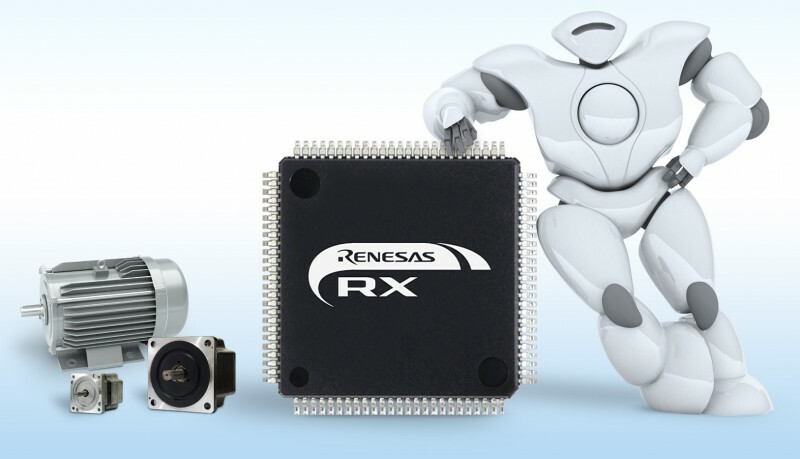 Renesas Electronics has unveiled the RX66T Group of microcontrollers (MCUs). The chips are the first members of Renesas’ flagship 32-bit RX MCU family based on the new third-generation RXv3 CPU core. The new MCUs leverage advanced CPU core technology to achieve substantially improved performance, as much as 2.5 times better than previous RX family MCUs. Combining the powerful new RXv3 core with the strengths of the current RX62T and RX63T MCUs, the new RX66T MCUs address the real-time performance and enhanced stability required by inverter control. The new MCUs are ideal for use in industrial applications in next-generation smart factory equipment, such as industrial motors, power conditioners and robots, as well as smart home appliances, including air conditioners and washing machines. When operating at 160 MHz, the RX66T MCUs achieve best-in-class performance of 928 CoreMark 2, enabling more precise inverter control. The MCUs can control up to four motors simultaneously, making them well-suited for conventional motor control and applications requiring multi-axis motor control, such as compact industrial robots and personal robots, which are quickly growing in popularity. In addition, the RX66T’s extra processing capacity allows developers to add programs utilizing embedded AI (e-AI) for motor fault detection. Such programs can detect motor faults and identify fault location in real time based on the motor’s current or vibration characteristics. Providing this capability offers developers the significant value-add of productivity, safety, and quality. The RX66T MCUs also integrate a 5V power supply that delivers excellent noise tolerance. The new RX66T Group comprises 80 MCUs with pin counts ranging from 64 to 144 pins and on-chip flash memory sizes of 256 KB to 1,024 KB. Mass production starts today for the widely used 100-pin package MCU with 256 KB or 512 KB of program flash and 64 KB of SRAM. Other MCU versions will release over time. Pricing for the RX66T MCU Group starts at $3.25 per unit in 10,000-unit quantities. 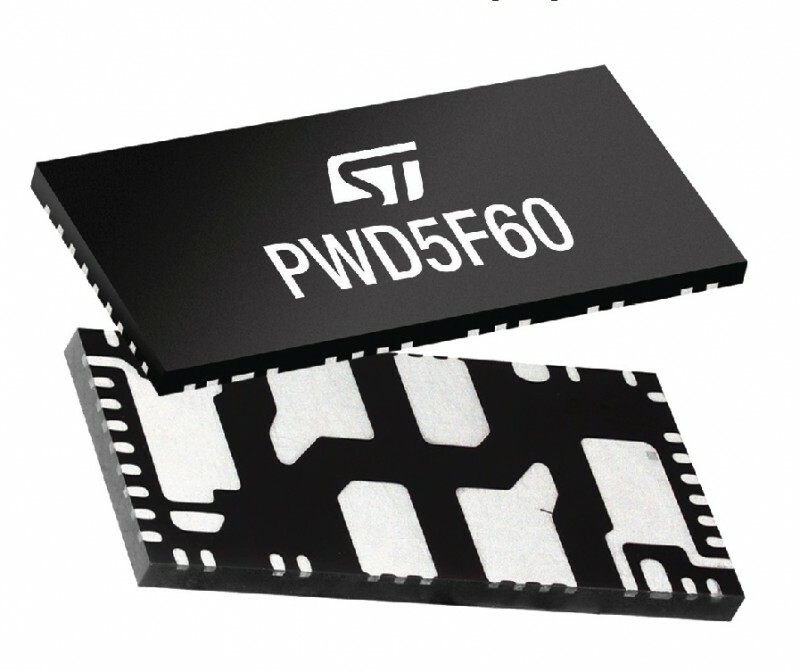 STMicroelectronics’ has released its PWD5F60 high-density power driver, the second in a new series of power-driver systems-in-package addressing high-voltage brushed DC and single-phase brushless motor applications. It integrates a 600V/3.5A single-phase MOSFET bridge with gate drivers, bootstrap diodes, protection features, and two comparators in a 15 mm x 7 mm outline. The thermally efficient system-in-package occupies 60% less board real-estate than discrete components, while boosting reliability and simplifying design and assembly. With on-resistance of 1.3 8Ω, the PWD5F60’s integrated N-channel MOSFETs ensure high efficiency for handling medium-power loads. The gate drivers are optimized for reliable switching and low EMI (electromagnetic interference), while the integrated bootstrap diodes enable high-voltage startup with no need for external diodes and passive components to supply the high-side inputs. Cross-conduction prevention and under-voltage lockout are already built-in to protect the device by preventing operation in low-efficiency or dangerous conditions. The PWD5F60 is in production and available now, packaged as a multi-island VFQFPN device, from $2.15 for orders of 1,000 pieces.